This community pub was the first of the 2 from the GBG to visit in Hebden Bridge. 9.15 on a Friday night and as I expected it was busy, not packed but busy enough. Being a community pub most punters knew someone, or one of the dogs that was roaming around! 5 ales on the pumps, I stuck with the very difficult to pour but extremely drinkable White Rat @ 4.8% from Rat Brewery. A cracking pub that really is a community hub, the shareholders are doing a great job, the ales are good, the pub has a very relaxed atmosphere and the electric local's love it. I don't reckon this will be my last ever visit. Fantastic pub and well worth the walk. Great beer knowledgeable staff and a nice quirky pub. The beer is Sublime. 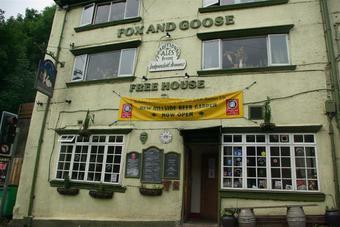 5 perfectly kept guest ales plus a well chosen house beer "Goose Juice" from BRidestones Brewery at £2.70. Very Drinkable. BRILLIANT. 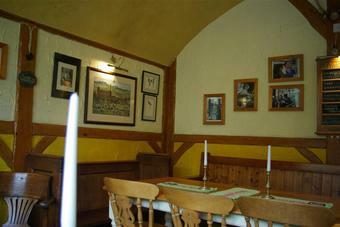 In this co-operative pub the drinks are superb and well kept (no warm lager for example) and the staff are just great. This is a proper pub and everyone who has worked so hard to save it can feel very chuffed with themselves. Much improved since becoming Yorkshire's first co-operative pub. Ever changing choice of beers on the 5 handpumps from small independent brewers.Very friendly. Dogs and walkers welcome. 2 minute's walk from the centre of Hebden Bridge, and there are bus stops nearby with buses every 10 minutes to Todmorden and Halifax.